Literally hundreds of levels to enjoy, with a variety of great tile sets to keep things fresh. Quickly moves into nearly all timed levels, with often very short time limits and pressure to purchase more time. 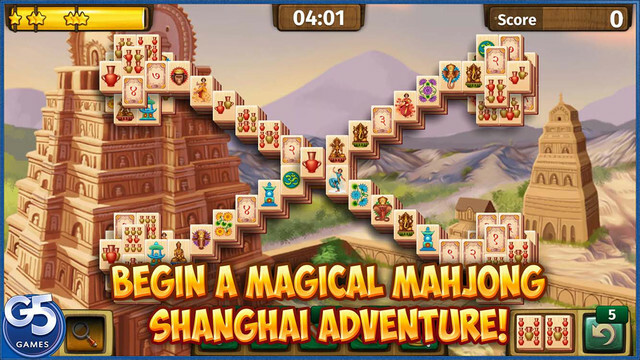 It’s a world filled with tiles in Mahjong Journey. 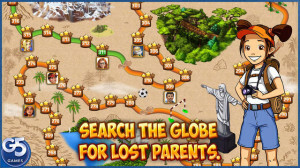 As you travel your way around the world in search of a young girl’s parents, you’ll be treated to colorful backgrounds featuring a host of international attractions, as well as multiple diverse tile sets to keep things from getting too repetitive. 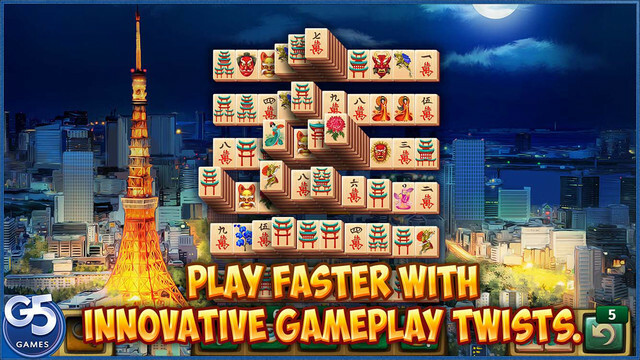 Mahjong Journey has a lot to offer to fans of the tile matching game, but it isn’t without its faults. Whether the benefits far outweigh the downsides are entirely based on how you care to play. 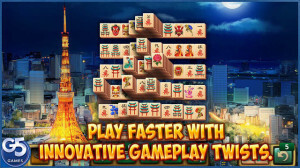 For those unfamiliar with the game, Mahjong is a tile matching game that originated in China. Basically, you have a set of tiles, roughly the size and shape of dominos. These can be stacked and arranged in all sorts of different configurations, which is part of what makes the game so addicting – there are no limits to how they are laid out, so it keeps things interesting as you move on to more and more complicated designs. 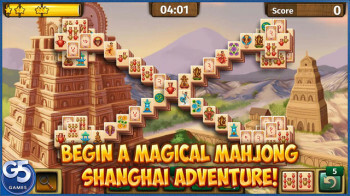 In Mahjong Journey, your goal is to uncover the two gold tiles. Matching the gold tiles together ends the level – and the quicker you do so, the higher you score (from one to three stars). The number of stars you earn are important, because you’ll need a certain amount of stars to unlock the next location (although you can buy your way there, if you prefer). Uncovering the gold tiles is a matter of matching other tiles together until they are unblocked. Tiles can be matched together only if they match in design, and have either the left or right side free (not adjacent to another tile). 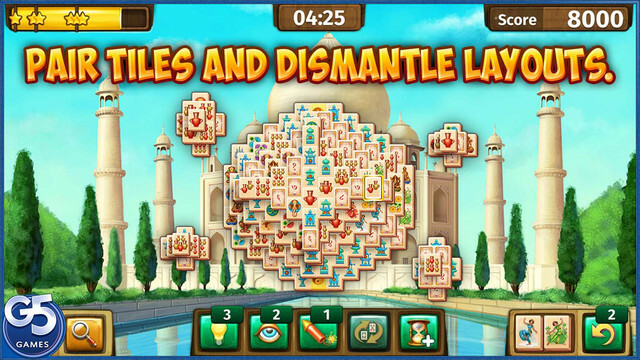 This makes the configurations an important part of how difficult each level is – super high stacks can be difficult, as can very long ones, as both leave very few tiles free. The simpler levels generally have smaller rows stacked at different heights, but even those can leave you stuck with no matches if you don’t play carefully. In Mahjong Journey, there are a number of aids to help you out with finishing. From a reshuffling of the tiles to get you unstuck, to a firecracker that automatically eliminates some matches for you, to just a hint showing open tiles, all of these must be purchased with real money if you wish to use them. You do start out with a few at the beginning of the game, as well as some jewels (the in-game currency). However, once you use those up, you are on your own. And here’s where we get to the “how you play” part. When you begin the game, you can actually advance pretty quickly, especially if you are already familiar with the game. The puzzles are both challenging and fun, but not overly difficult. There are a few timed levels here and there, but the time limits are reasonable, so most won’t find them to be much of an obstacle. If you do happen to fail at a level, you can either buy an extra minute or a shuffle, or choose to fail. If you fail, that means you will just repeat the level – no big deal. However, failing a level causes you to lose a life, and you only have five. Once you lose all five lives, you must either purchase more, or wait for them to regenerate – a very lengthy process. At the beginning, this isn’t an issue, but you’ll notice as you work your way farther into the game that things start to get a little crazy. 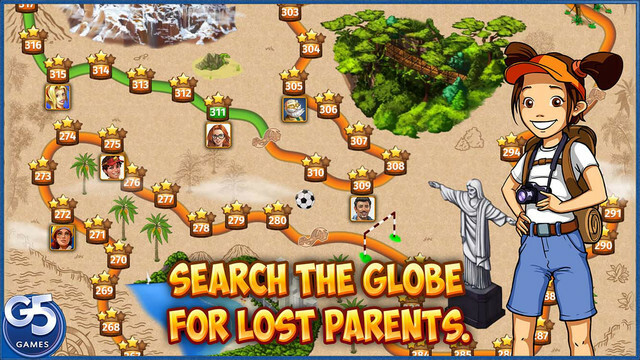 All of a sudden, nearly all of the levels are timed – and often with completely ridiculous time limits. You may be faced with a very complicated level, and just a few minutes to complete. It’s nearly impossible to complete on the first try, and often even on subsequent attempts. It can get very frustrating, and of course you are offered the chance to purchase extra minutes every time you fail. I’m all for developers making money off their games, but it doesn’t seem very sporting to buy your way to success. Even if you purchase the extra time, the very next level will be just as sparsely timed, so it does lead to some frustration. So, if you’re the type who likes to play for a little while and then move on, playing through your lives and then being done for a while should be just fine. However, if you’re the type who likes to have a longer gaming session, or if you get frustrated easily, this might not be the game for you. 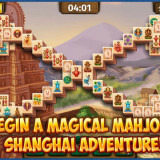 Mahjong Journey offers an international take on the popular tile matching game. 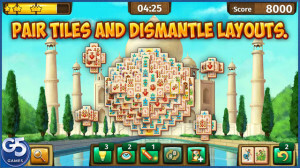 Players are offered literally hundreds of levels (with more being added regularly), as well as a variety of different tiles sets to enjoy. Though players should be able to make their way through a few dozen levels without too much pressure to make in-app purchases, later levels take the time limits a bit to the extreme. Gamers who enjoy short sessions (or frequent in-app purchases) will likely be happy with the game for a long time. However, those who like to play for longer times without completely breaking the bank would be much happier with an option to unlock the game rather than the current pay as you go scheme.